Our marshals to help direct traffic, managing parking, work with crowd control & health and safety to name but a few tasks. Putting on an event like this is a mammoth undertaking and we need your help to make it a success! If you are interested in being involved or you can offer any help please use the contact us button below and let us know - we will get back to you. 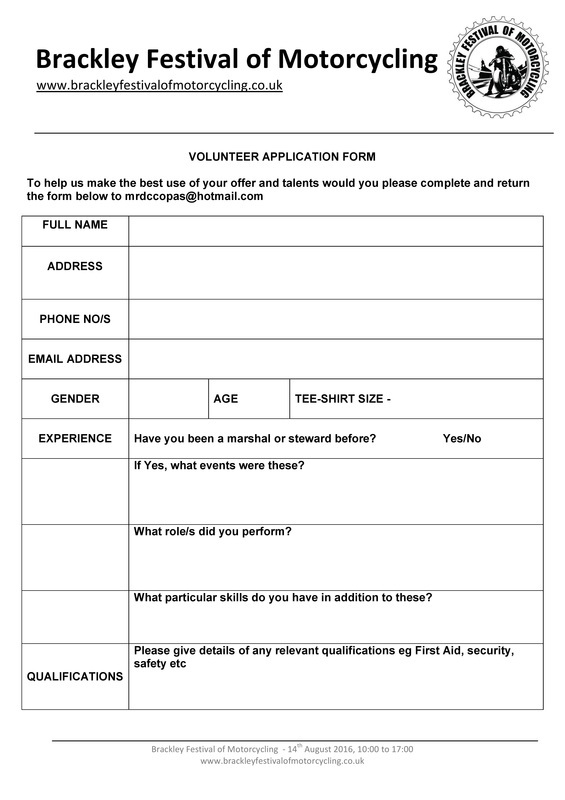 Volunteers - Print off and complete this form if you would like to volunteer - email them back to us to be part of a fantastic event! !